Jennifer Stone from Wizards of Waverly Place, updated her Twitter account recently. 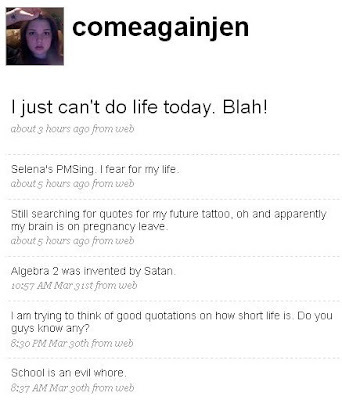 -Selena's PMSing. I fear for my life. -School is an evil wh*re. Do you think she is sharing "too much info?"